Normally [ha!!] I reserve Sunday for Frank and Ella, together and/or with Basie. Today I awoke cravin’ you… and Mose. Check out this link, and you’ll hear why. … was a Merchant Marine hero during WWII. Aside that he was a bit “noivus from da soivice,”as his mother and my grandmother Rose would say, Harold was a great uncle. There weren’t many “children of the depression” who made it a priority in their lives to recreate and have fun. Unc did, and made sure I did. Pictured bellow are his five nephews. Ralph Zig Tyko, Bruce Tyko, Andy, Jim, and Mike Niss. reached a high of 250,000.
necessary to take the ship where they were going and bring them home again? marine an opportunity to take an active part in the war effort. escape military service, but these were not the overriding attractions for most wartime volunteers. A man could make good pay in shipyards and war plants without any of the risks of seafaring. or what pay or danger was involved. he said, “ came with a desire to have a part in the war. Money was a secondary consideration. able seamen might be Norwegians or Swedes who had spent most of their lives in sail and steam. the ship had reached it first port. newcomers who knew little about the job and cared less. superhuman efforts on the part of the War Shipping Administration (WSA) to juggle crews. world was not something that could be left to novices. Massachusetts, Pennsylvania, New York and California. of actual shipboard experience to thousands of men before they shipped out for the first time. then was used as a bombing target in the Chesapeake Bay. Her hulk is still there. Christian, Mississippi, and San Mateo, California. adventure-minded youngsters volunteered at some 40 recruiting offices throughout the nation. Percy P. Evans was 70 years old when he signed on as engineer for the “Joseph R.
“Abraham Lincoln” as second mate in 1944.
acquired a master’s license in the British merchant marine in World War I.
Rhodes.” His brother, the first mate, was 21; the third mate was only 20. New York State Maritime Academy. “It always confused the customs and immigration people. During WWII, Irena was given permission to work in the Warsaw Ghetto, as a plumbing/sewer specialist. She had an ulterior motive. Being German, Irena knew what the Nazi plan was for Jews. Irena smuggled out infants in the bottom of a tool box she carried in the back of her truck. She used a burlap sack for bigger children. She also had a dog in the back that she trained to bark when Nazi soldiers let her in and out of the ghetto. The soldiers wanted nothing to do with her dog. The barking covered noises of the infants and children. Irena managed to smuggle out and save 2500 infants and children, before she was caught! The Nazi’s broke both her legs and arms, and beat her severely. 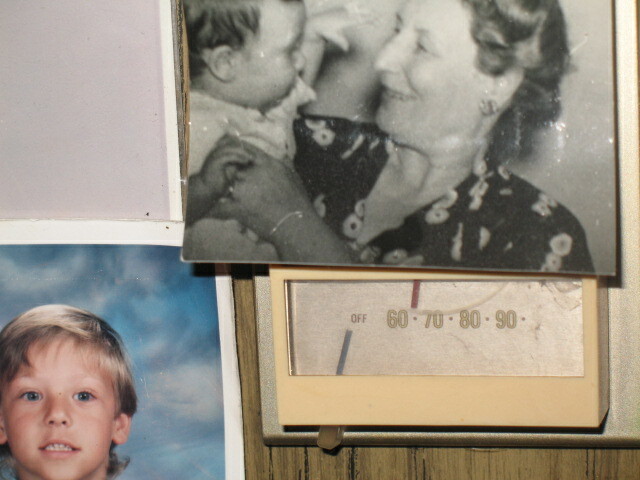 Irena kept a record in a jar buried under a tree in her back yard of all the children she smuggled out of the ghetto. … followed by a night game in Modesto for some great minor league ball. We watched futrue Texas Ranger Ryan Tatusko take a no-hitter into the ninth, only to have it broken up. His terrific effort earned him a one-hit shutout. < We agreed that it was a terrific day. … is a High School Graduate. I’m proud he’s my son. Here he is with the Baby Momma, Diane Satin.